Applied Clothing is an independant streetwear brand that designs, commissions, and collaborates with established artists, designers and illustrators from around the globe to create a broad range of limited art prints designed for screen print and embroidery. 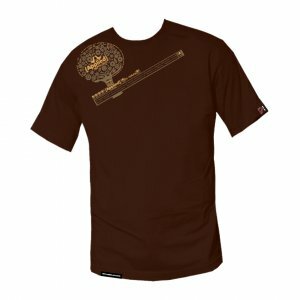 They designed and illustrate such as 100% Nature Brown T-shirt. This short sleeve fitted 100% cotton t-shirt designed by EGIRL. This is part of the applied clothing collaboration one series.